There are many options when considering a product for base stabilisation and reinforcement of roads, foundations and working platforms so which is the best solution for the many scenarios? The most common application is to lay a non-woven needle punched geotextile directly on the subgrade followed by a polypropylene geogrid. Another option is the use of woven geotextiles on their own, or sometimes composite products combining one or more of the above. In this post, I will explain the functions and benefits that we can achieve with geosynthetics, then clarify which products can provide these functions to simplify the selection process for you. When we choose geosynthetic stabilisation it comes at a cost, and we therefore expect (or rather demand) a significant benefit from the product. In this application, we would be using the geosynthetic to either reduce the thickness of aggregate required for the same load bearing or heavy vehicle axle pass capacity, or improving the constructability of the site, that is providing a base for the construction equipment to access the site to begin permanent works. An additional benefit which has often been overlooked is the huge environmental benefit. The inclusion of a stabilisation or reinforcement layer to reduce the volume of crushed rock on a project site saves not only a significant amount of quarried resource in the way of cubic metres of stone, but also the greenhouse gasses produced in the quarrying, crushing and carting process. We mentioned above that the products of choice have often been a nonwoven geotextile followed by the geogrid, which is an excellent and well proven method. However, lately we have seen a rise in single layer products such as composites of geotextile and geogrid, and even woven fabrics claiming to provide 3, 4 or even 5 functions in one product. While some of these are truly excellent products, I think we need to step back and look at the functions at play, and get an understanding of what’s happening to really understand these products. As a professional you need to know what you are using, and not just rely on an icon or a claim on a marketing brochure. 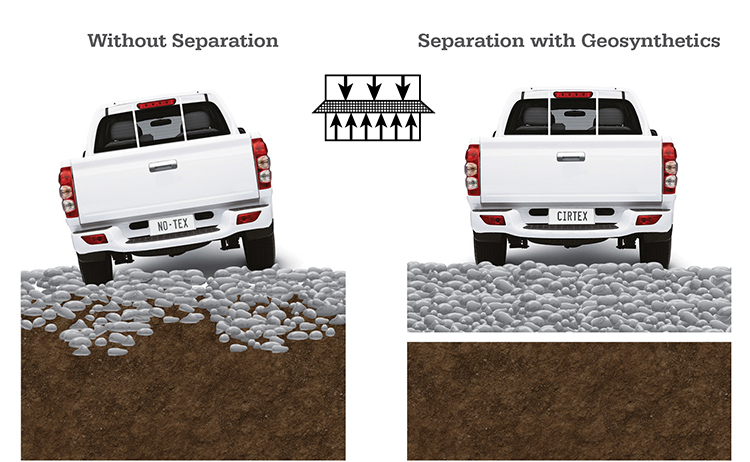 There are many functions of a geotextile or geogrid that give us benefit in road and foundation applications, here we will look in more detail at the 5 key players; separation, stabilisation, filtration, drainage and reinforcement. 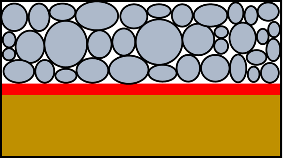 This is the use of a geosynthetic material between two dissimilar geotechnical materials to prevent intermixing. Put simply, it prevents the higher quality (and costlier) imported aggregate from mixing with the subgrade and therefore losing its strength. Woven and nonwoven textiles can provide separation between the subgrade and the base courses. This function relates to pavements and foundations, and refers to the effect of the geogrid and the aggregate working together to provide a composite mass with higher modulus or stiffness than unreinforced granular material. Aggregate interlock and lateral restraint are terms often associated with this function. Stabilisation in itself requires a stiffness at low strain but does not require a high ultimate strength. Filtration is where the geosynthetic acts to allow water to move through the soil while retaining upstream soil particles. 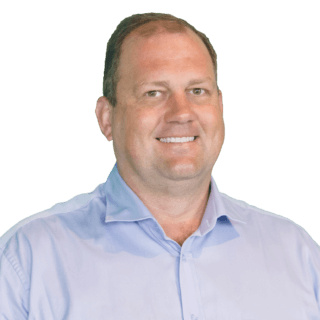 This is important where there is ground water present, and the pumping action of dynamic loads or the rise and fall of the water table can cause fines to migrate from the subgrade into the basecourse. 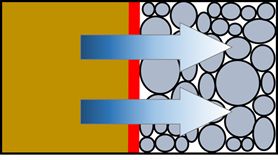 Drainage is where the geosynthetic acts as a drain to carry fluid flows through less permeable soils, within the plane of the geosynthetic structure. This is most common in retaining wall drainage applications and subsoil drains for roads. 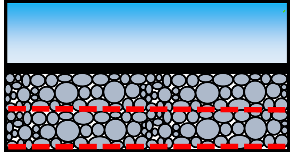 This is the function where the Geosynthetic acts as a tensile reinforcement element within a soil mass to add strength to the unreinforced soil. The reinforcement transfers tensile load to the soil or aggregate as a compression load. 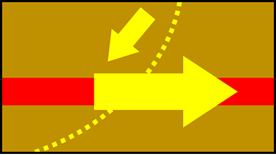 Some small strains develop within the geosynthetic as it takes up the forces however these can be designed to be very low. There is a lot of debate raging among some of the big industry players as to which functions are the most important and which we should be using, and I’m not going to enter that fray. However, with a clear understanding of the above we can establish some clear guidelines. Obviously, all of the above have some bearing on the performance of a road base or foundation. The big question I have is at what point are we actually compromising each function by trying to put too much together in one product? For instance, if we have a fabric that can effectively drain water within its plane, are we reducing the interlock, and therefore stabilisation? If we have a geogrid with great stabilisation and interlock properties, therefore excellent stabilisation, can we expect that to be our road underdrain? Now I strongly believe in composite products. Some of them are very high performance and greatly add to the benefits of geosynthetics in engineering. What I am convinced we need to do better is get an understanding of what we are using and why we are using it so we can apply a product to a problem and get a solution. In summary, we have had a lot of success with combination products which provide 2 or 3 functions at once. These products, such as CombiGrid, can give reinforcement, stabilisation and filtration all with one laying operation with no compromise of performance. If fact to the contrary it has been shown that the performance can actually increase when the products are combined. However, with any more than 3 functions required from one product I would be looking closely at what you are trying to achieve to ensure you are not accepting a compromise.